Being one of the World’s seven Wonders of Nature, Halong Bay attracts a large number of visitors every year thanks to magnificent beauty with a massive system of caves and island, and other wonderful attractions. For almost visitors, visiting and exploring caves is a interesting activity that they cannot miss in any trip in Halong Bay. 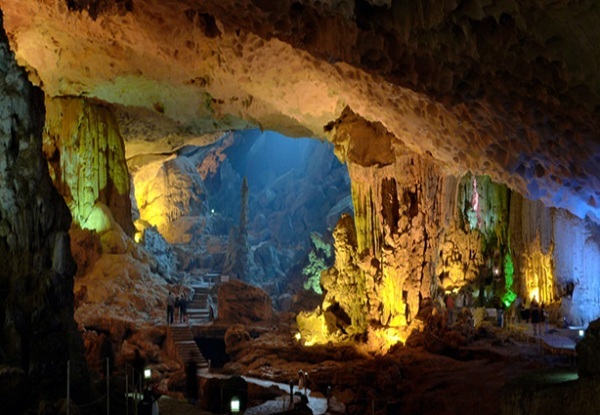 Below are top 3 caves in Halong Bay you should note to explore before travel to Halong. 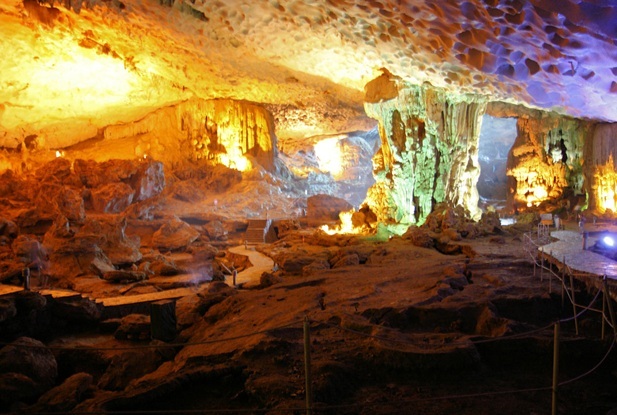 Sung Sot Cave is located on Bo Hon Island, and is one of the finest and widest caves of Ha Long Bay. Following the steep path under shady trees, visitors will reach the cave consisting of two chambers separated by the 3 meter-wide path. The outer chamber is square and is often considered as the waiting room. The cave’s ceiling has a height of 30 meters and is filled with fabulous stalactites. The inner chamber is very large with formations shaped like fairy tales. 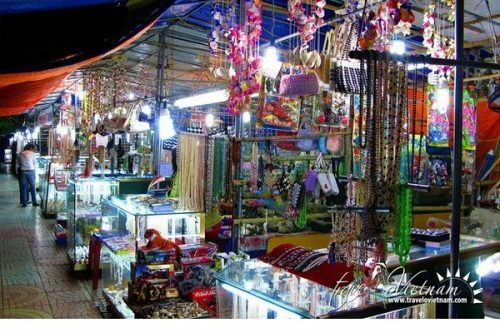 Thien Cung Cave is located in Van Canh Island which is 4 kilometers from the wharf outside of Ha Long city. 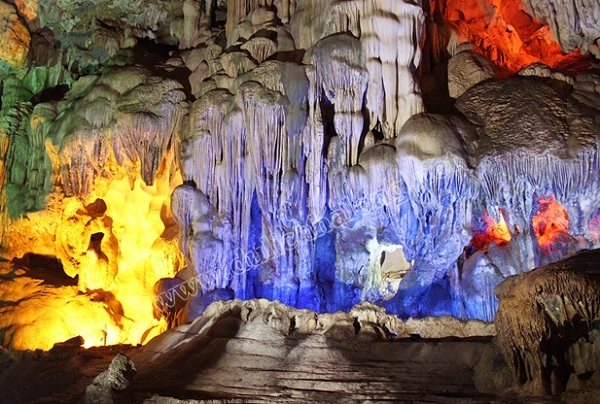 It is considered as one of top caves in Halong with an animated and splendid beauty which is made from stalactite. The path to Thien Cung Cave is perilous and covered on both sides by thick forest. Passing a narrow gate, the cave gradually opens up with a 130-meter-long girth. The cave is famous for a magnificent palace filled with abundant stalagmites. In the center, 4 pillars are fossilized many strange images from the base to the top including fish, birds, flowers, scenes of human life, singing and dancing fairies, etc. All were surprisingly formed by the hand of nature over million years. Dau Go Cave is located on a limestone islet 8 kilometers south of Bai Chay and is probably the most famous cave in top caves in Halong. Seen from afar, the entrance to the cave appears to be blue, and has a shape of a jellyfish. look-alike 90 steps stair. Inside the cave, you will witness a massive system of stalagmites and stalactites resembling stony waterfalls. Dau Go Cave has three main chambers. The first one has the most spectacular stalagmites and stalactites of various shapes, depending on the imagination of visitors. The second one is a little bit lack of light, but it has a more intriguing ambiance of fuzzy picture formed by the harmonious combination of light and stalactites that stimulate your curiosity. Finally, the third chamber has a sacred fairy well that is said to be used by beautiful fairies descending from the heavenly kingdom. Halong Bay is famous for a large number of magnificent caves. One of activities you should not miss when visiting Halong Bay is to explore caves. 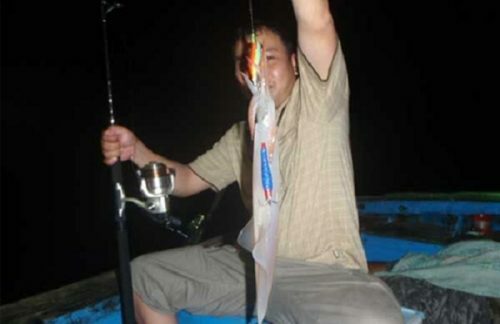 Top caves in Halong Bay will be good suggestions for you to have a wonderful and unforgotten experience in Halong.